While you should be able to get all the vitamins and nutrients you need from your diet, it’s possible that you could have a vitamin deficiency, meaning you would benefit from a vitamin infusion. At Apex Medical Professionals in Fair Lawn, New Jersey, Walid Elkhalili, MD, and the team provide intravenous vitamin infusions to improve your health and energy levels, and relieve symptoms of disease. Call Apex Medical Professionals today or schedule a consultation online to discover how vitamin infusions can enhance your health and wellness. A vitamin infusion is an intravenous (IV) treatment that delivers a customized mix of vitamins and other nutrients directly into your bloodstream. The infusion typically provides a higher dose of vitamins than you get from food or supplements, and because it’s delivered straight to your blood, you don’t lose any vitamins through the digestive process. IV therapy also provides additional fluids, which helps combat fatigue and other symptoms of dehydration. How can a vitamin infusion improve my health? Your body doesn’t always absorb enough vitamins and nutrients through your digestive tract. As a result, you aren’t always able to function at optimal levels, leading to fatigue, inflammation, and other health issues ranging from digestive problems to cardiovascular disease. A vitamin infusion provides a customized cocktail of the precise vitamins and other nutrients your body needs. For example, a vitamin B infusion can boost your energy levels and your metabolism. The infusion can improve your energy levels, rehydrate your body, and relieve symptoms of chronic health conditions and cancer. Who is a good candidate for nutritional IV therapy? Nutritional IV therapy can also boost your immune system and increase your energy. Your doctor may also suggest the treatment to combat the flu. What should I expect during vitamin infusion therapy? 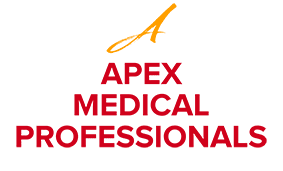 Your Apex Medical doctor begins your treatment with a conversation about your symptoms or health concerns, followed by blood tests to identify any nutritional or vitamin deficiencies. Then, depending on your needs, an IV solution is prepared. The infusion therapy usually takes around 20 minutes. After your doctor places the IV in your arm, you just relax in a comfortable chair. After your infusion is complete, you can get right back to your regular activities. If you’re curious about vitamin infusions and how they can enhance your wellness, call Apex Medical Professionals or schedule a consultation online today.